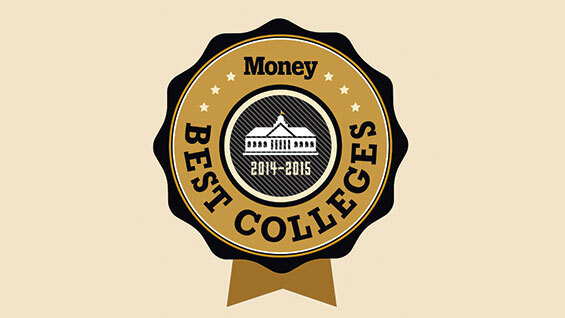 Cooper Union in Top Ten "Best Colleges for Your Money"
The Cooper Union has been ranked in the top ten of Money magazine's inaugural The Best Colleges for Your Money list. Coming in at #8, just behind MIT, Princeton, Stanford and Harvard, Cooper ranks higher than the other Ivy League schools as well as all the universities in New York City. Money magazine ranked a total of 665 schools based on 17 factors within three equally weighted categories: quality of education, affordability, and career outcomes. Factors included graduation rate, instructor quality, net price of a degree, student loan default risk, and early career earnings, among others. The list examined more than 1,500 four-year colleges and universities nationwide. The ranking also notes that recent Cooper Union graduates receive an average salary of $61,000 a year, which is 13% more than predicted based on our fields of study.